Categories: Costa de la Luz, Featured. Tags: cadiz, costa de la luz, tarifa, travel, vejer de la frontera. Fifteen years after her first taste of Tarifa, Iona Napier returns to the wind capital of Europe and well, once again, gets… Blown Away! Summer here is truly magical. Between the sea and the sierra, Tom Powell travels to the former outpost of Vejer de la Frontera. With a regular influx of talented restaurateurs and chefs it is no surprise that Vejer has become one of Andalucia’s culinary capitals. For what it lacks in size, Sancti Petri makes up for in beauty, history and gusto, writes Tom Powell. Estate agent Glyn Lewis of Andaluz Homes on why he loves the Costa de la Luz. A little slice of Ibiza in Andalucia, no other place better epitomises the hip Tarifa scene than Valdevaqueros. The Costa de la Luz is Europe’s definitive kitesurfing capital. Few places in Spain have such a great range of good places to eat, writes Dining Secrets of Andalucia editor Jon Clarke. Where sleeping is a breeze! 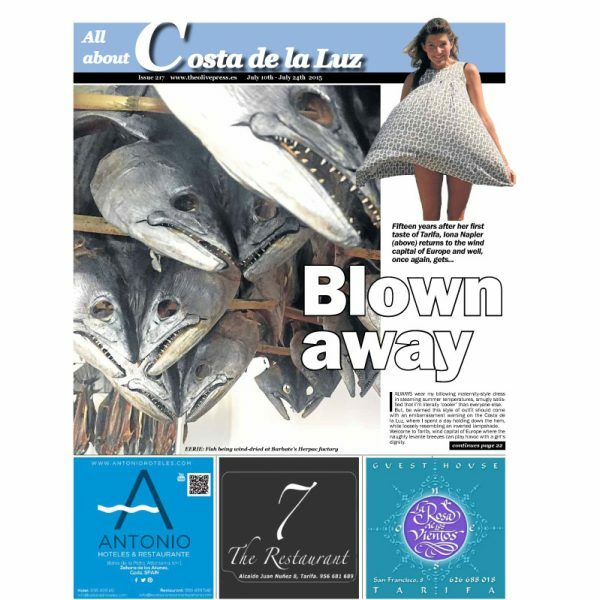 The Costa de la Luz is a stylemeister’s dream for places to stay, writes Jon Clarke.